Babies often cry, jump to wake up at night and don’t sleep deeply… Parents often lack this knowledge, so it leads to the following problems. Many parents complain that their children often sleep less, sleep fitfully and have severe sleep at night. Although many people show them about how to comfort lull babies, all of them aren’t affective. Actually, babies often cry, jump to wake up at night and don’t sleep deeply… … Parents often lack this knowledge, so it leads to the following problems. Some parents have blamable mistakes before and after letting babies sleep without knowing. If children sleep on time and have enough sleep, they will grow faster than children with the same age but lack sleep. According to a recent research, nowadays, babies that are 2 years old sleep 40 minutes less than their parents in the past. This thing is harmful to development of brain and physicality of children. Pediatric medicine experts advise that you should make schedule for babies to sleep and parents themselves have to obey strictly. You shouldn’t wait until babies rub their eyes or yawn, then you let them sleep. At that time, babies will feel sleep very much. Only sleeping early 15 or 20 minutes will also create a big difference. 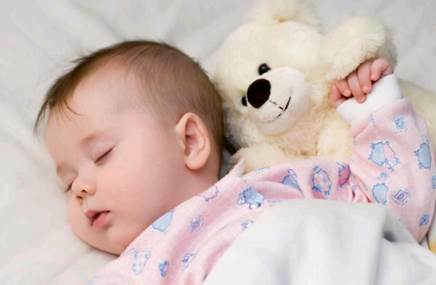 Pediatric medicine experts advise that you should make schedule for babies to sleep. When many mothers see that babies don’t sleep and cry, they hold in their arms and sway all night. This isn’t negative behavior; however, if mothers do that regularly, babies will depend on mothers’ arms. It means that mothers put babies cradle smoothly to let them sleep, when they wake up, they will cry and make racket because they aren’t on their mothers’ soft hands. When babies cry and don’t sleep, holding them in arms and swaying all night aren’t completely good for them. Loving babies, mothers let babies learn how to ease and lull when they wake up. You shouldn’t lose your head and come beside babies, to comfort when they babble to wheedle. This is a classic mistake of parents! When children are 2 years old, many parents move them from cradle to bed too early. But at night when you move them, they toss and turn all night without sleeping. In addition, they wake up when lamp is turned off or wake up when there is a smooth noise. Why so? Before 3 years old, many children aren’t ready to sleep alone on a big bed. They cannot be conscious and control bound between bed and cradle. Wait until they are 3 years old, then think about letting babies sleep on bed. If babies have difficulty in sleeping alone on bed, you can let them have more time to adjust. Many scientists affirm: letting babies sleep in moving state – sleep in buggy or car won’t make them sleep deeply and it’s difficult to restore sleep because of stimulation of moving. 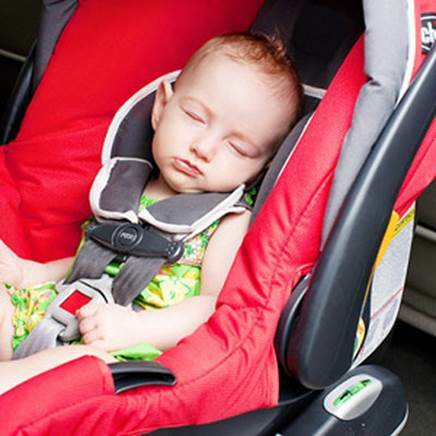 Many women are familiar with letting babies sleep in buggy. Therefore, to help babies sleep deeply and not cry between sleeps, parents should put them on a familiar place that has smooth light quiet for babies. Many parents don’t take interest when their children sleep with them. But normally, the whole family sleeps together on a narrow bed. Parents should give clear and unified rule to children about sleeping position. For example, at night, if babies ask to sleep on the same bed with their parents, wait until they sleep and smoothly hold them back to their bed. At night, many mothers are woken to give babies breast, this thing makes them awake while they are having a good sleep. When this habit is formed, it will make babies be familiar with sleep. After that, in weaning time, they will wake up at midnight to eat. To overcome this habit, you should give them breast at night when they cry and after sucking. You should let children sleep by themselves without holding and lulling them because they will depend on these actions of parents. You should let children sleep by themselves without holding and lulling them. To babies and newborn babies, strong light will make eyesight weak and make development of newborn baby’s eyesight paralytic. Hence, when babies are sleeping, parents shouldn’t turn light on, except for necessary cases.